It's Festival time. But with one eye on his favourite band and the other on the refreshments, who on earth left Dad in charge? 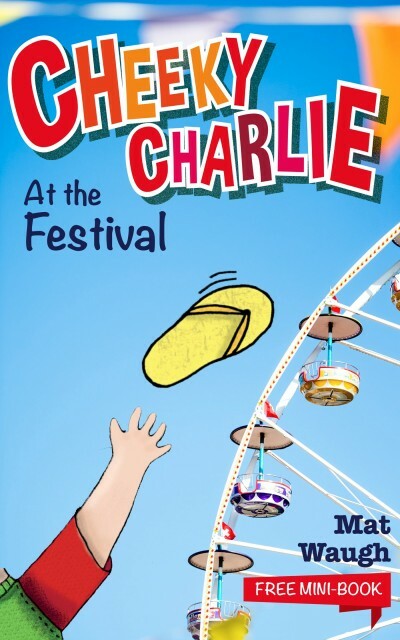 Eight-year-old Harriet takes the lead in this exclusive Cheeky Charlie Mini-book. Expect lax parenting, crunchy samosas, stinky toilets and a particularly hairy Aussie. But as the chaos unfolds, who's the unexpected hero of the day? Festival is an epic day told in seven easy-read chapters. It's just right for kids aged 6 to 10 who love mayhem, and grown-ups looking for warm, funny stories to feed a child's book habit.